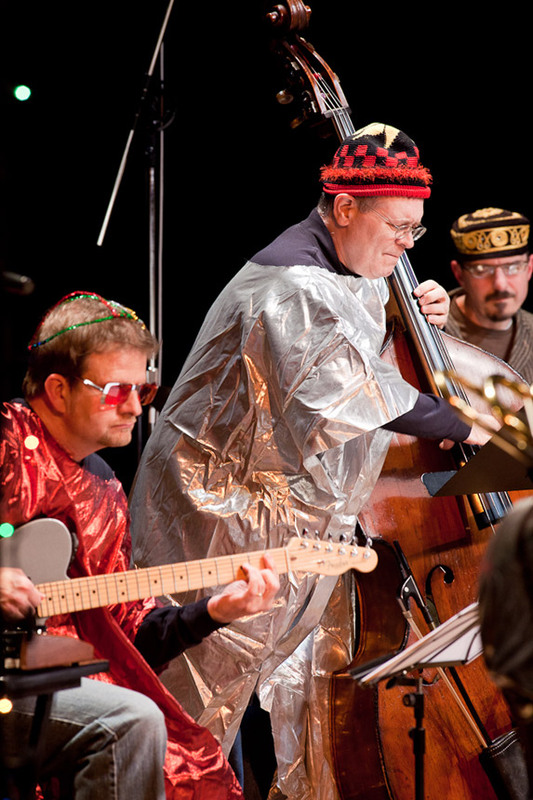 EyeShotJazz | Jazz Photography » Blog Archive Sun Ra Tribute Band | Is That Jazz? 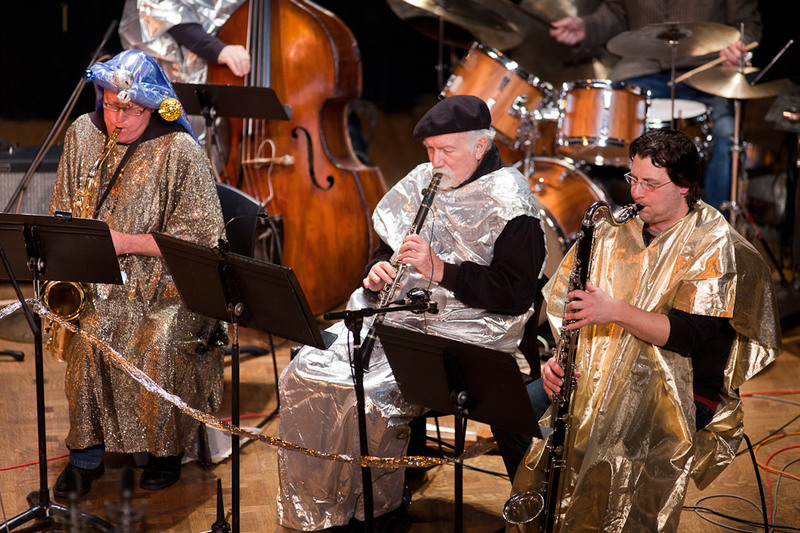 Sun Ra Tribute Band | Is That Jazz? 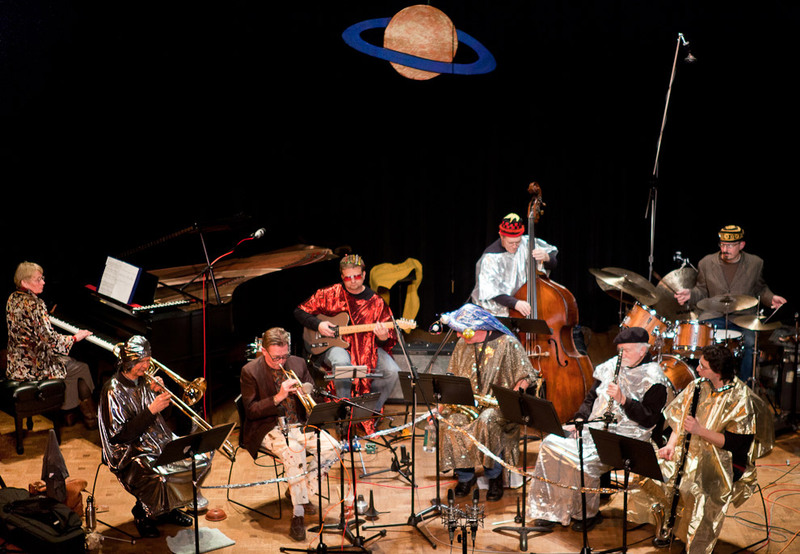 Once again the all-star dectet Sun Ra Tribute Band reunited and paid tribute to the inspirational iconoclast Sun Ra by playing many of his compositions from the late 1950s and early 1960s. 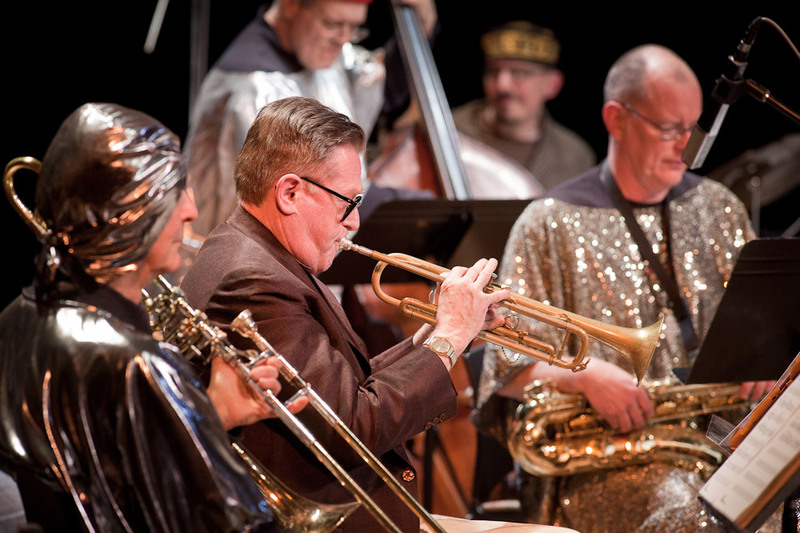 There were sparkly robes, processions, group vocals, flying objects and planetary alignment. 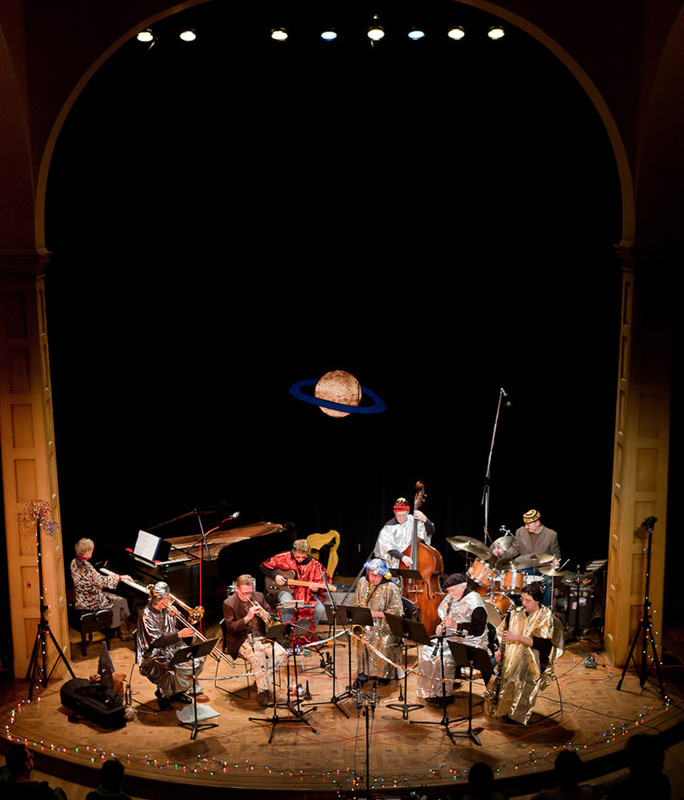 The cast of characters included Stuart Dempster: trombone, Bill Smith: clarinet, Tom Baker: guitar, Greg Sinibaldi: saxophone, Michael Monhart: saxophone, Jim Knodle: trumpet, Lynette Westendorf: piano, Greg Campbell: percussion, horn, Dan O’Brien: bass, Bill Moyer: percussion. 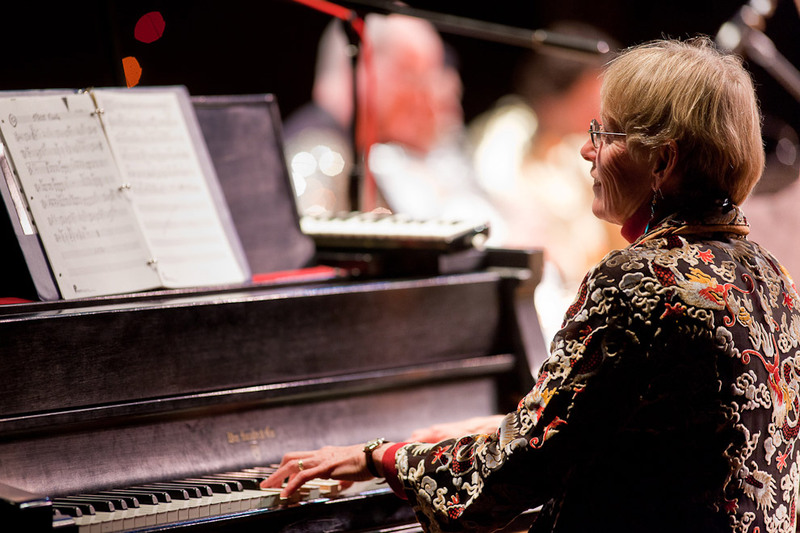 performed at the Chapel Performance Space last Friday Jan 21st. Empty Cage Quartet kicked off the opening of the 2011 Is That Jazz, Seattle’s avant-jazz music festival on Friday night to a great crowd and a wonderful set.